Halloween apples! I love candy apples…even if my teeth get stuck in them. 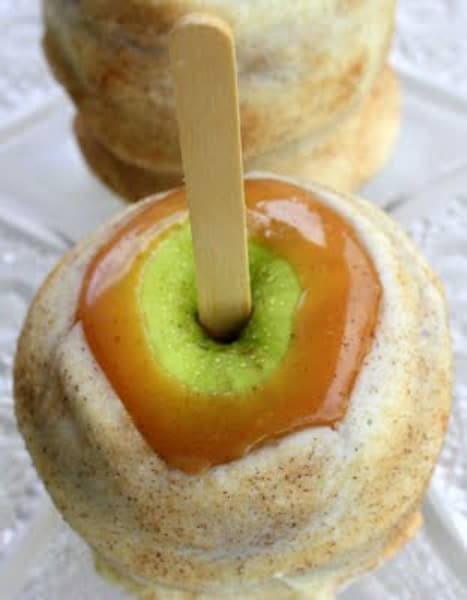 I love the idea of making personalized Halloween treat bags for friends and these candy apple recipe ideas would be perfect for that. 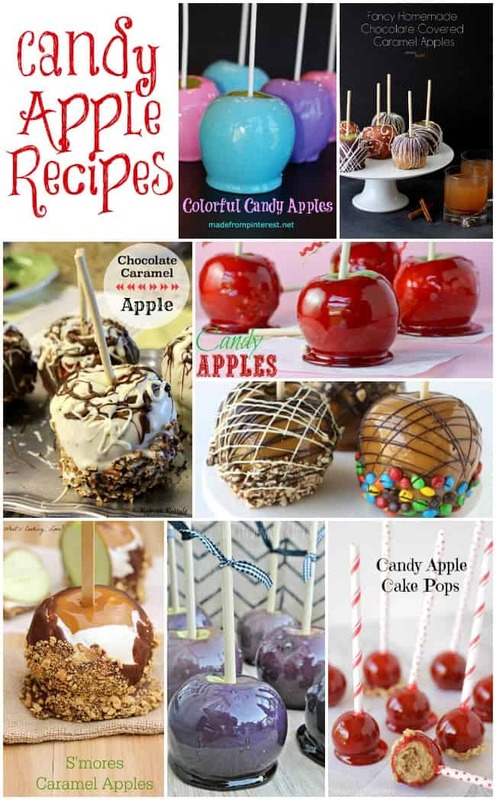 I want to try all of these – the candy apple cake pops are brilliant and I’m totally drooling over the others. Thank you to everyone who agreed to feature their recipes in this collection. To view the full recipe for each, simply click on the title of the recipe and it will open in a new window for you. You’ll find even more Halloween ideas on our Halloween Fun page. Karyn of Dieter’s Downfall has so many delicious desserts on her site. I could seriously spend an hour browsing & drooling over her recipes. 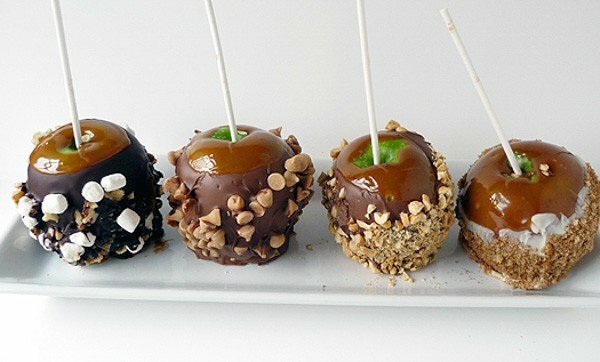 These Chocolate Caramel Apples would make great gifts for any season. 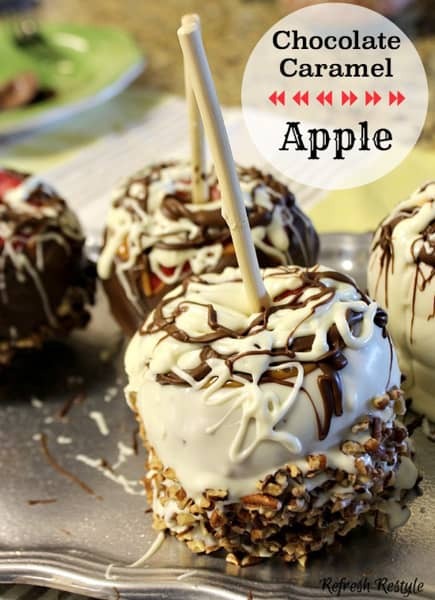 If you’re looking for a classic candy apple recipe, then this Foolproof Candy Apples recipe by Confessions of a Cookbook Queen is for you! 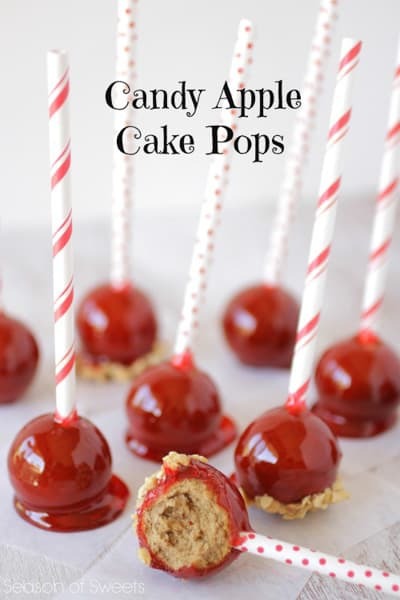 For a different twist on a classic, try these Candy Apple Cake Pops by Season of Sweets. My husband is already asking me to make these ones. 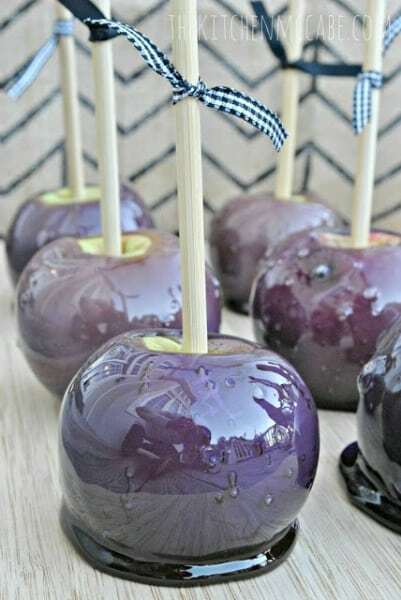 I love how smooth and shiny these Purple Candied Apples by The Kitchen McCabe are. I’m sure you’d be able to see your reflection in these ones. 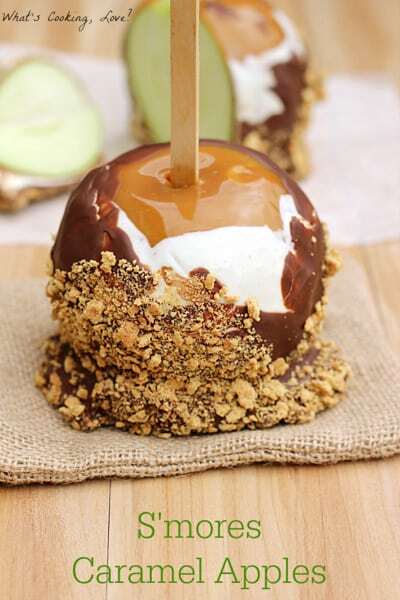 I’m totally drooling over these S’mores Caramel Apples by What’s Cooking, Love. These would be awesome as a Halloween treat and perfect for a summer camping-themed party too! Want to make a variety pack for friends & family? 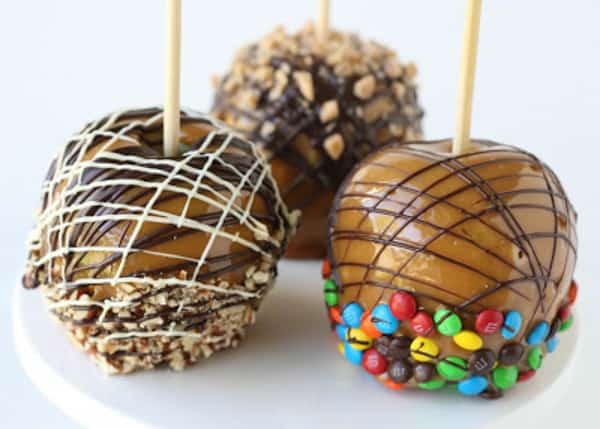 Then you’ll want to check out this How to Make Gourmet Caramel Apples post by Glorious Treats. 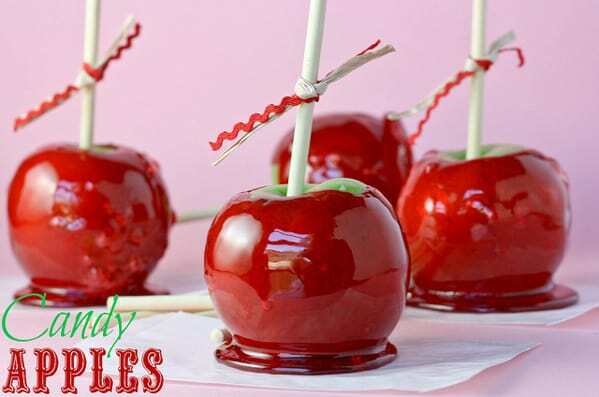 I love her idea of cutting them into sharable pieces – so much easier than trying to bite right into a full candy apple! Not sure if you crave chocolate or caramel? 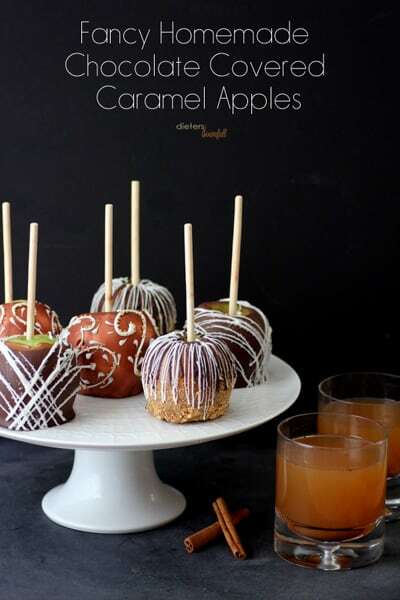 Enjoy them both with these Chocolate Caramel Apples by Refresh Restyle. Brown Eyed Baker has a few different varieties of Homemade Caramel Apples to choose from. I think I’d try the Rocky Road one first. This is a brilliant idea – Apple Pie Caramel Apple by The Girl Who Ate Everything. I guess they have something similar in Disney World that people love – I’d love to try both the homemade and the Disney ones! 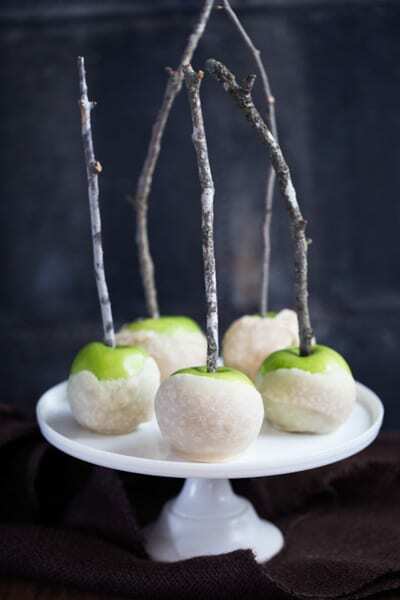 Not only do these Dulce de Leche Candy Apples by Handmade Mood look pretty but I bet they are delicious too! 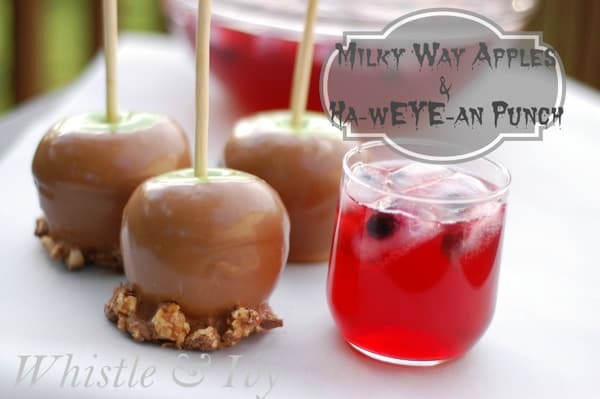 Using candy bars as toppings, like these Milky Way Candy Apples by Whistle & Ivy, is such a clever idea! 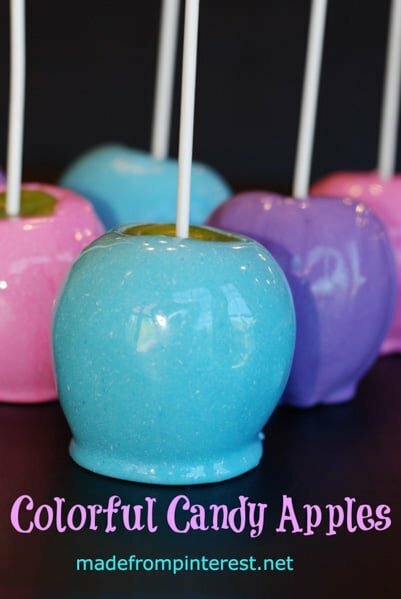 I’ve never thought to make candy apples in a different color but these Colorful Candy Apples by Made From Pinterest look so fun! Don’t forget to visit our Halloween Fun page for even more fun ideas. We’re always adding new ideas for celebrating the holidays with your family. Never miss an update by following us on Facebook, Twitter, Pinterest, Google + and Bloglovin’.